VA psychologists and psychiatrists help Veterans recover and thrive. The U.S. Department of Veterans Affairs (VA) announced in May that Veterans will be able to receive mental healthcare virtually through telehealth services, including video-linked doctor and counselor visits. Now VA Careers is using similar virtual tools to encourage psychologists and psychiatrists to explore VA career opportunities by inviting them to attend the 2019 Mental Health Virtual Career Fair on Feb. 12, from 4-6 p.m. ET. “VA Careers is excited to host this event for psychiatrists and psychologists who are interested in working at VA and want to learn more from those in the know,” said Darren Sherrard, Associate Director of Recruitment and Marketing at VA. Psychologists and psychiatrists from anywhere in the United States are invited to log on to learn about a career serving and caring for Veterans. They can explore open job opportunities, chat with recruiters and choose where to start their mental health career at VA. Supported by the Office of Mental Health, VA psychologists and psychiatrists offer cutting-edge mental healthcare to Veterans at various stages of recovery, rehabilitation and treatment. VA mental health careers offer providers ample opportunities to pursue research, train future providers and continue to see patients. 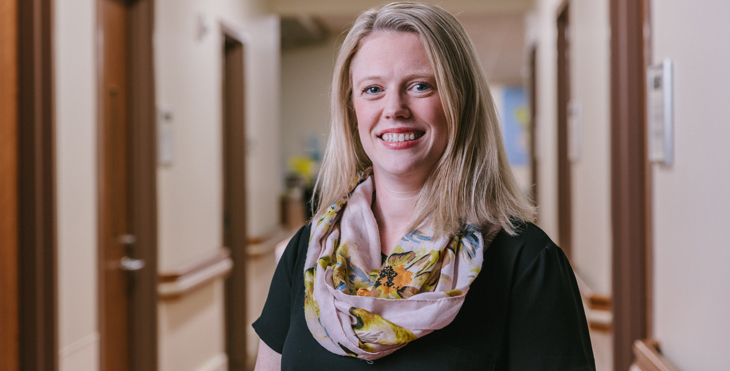 Psychologists and psychiatrists can work in residential treatment programs, team up with primary care clinicians (like VA Dr. Alison Sweeny, who works in a patient-aligned care team) or treat patients via telehealth. Learn which VA jobs are open and where they are located. Talk to VA recruiters about how to apply for open positions. Ask questions about continuing their career at VA, the hiring process and available benefits. Provide their contact information and resumes. Learn how to set up an interview, apply and get hired. The virtual career fair is designed to share information about the benefits of working at VA, including generous paid days off, medical and dental insurance, and federal retirement planning. Attendees will also be able to download information to review with friends, family and networks and schedule one-on-one chat sessions with VA recruiters to discuss their career options. Other perks of a VA psychology and psychiatry career include the ability to work anywhere in the United States and outlying territories with one active license. In addition, VA benefits move with employees who switch to a new position at another VA facility. Some employees receive mobile telework options and transportation support. REGISTER now for the VA Mental Health Virtual Career Fair. CONNECT with other psychologists and psychiatrists on the event Facebook page. EXPLORE VA psychology and psychiatry careers. LEARN more about upcoming VA Careers events by bookmarking the events page. REACH a recruiter at VAcareers@va.gov. SEARCH VA careers at any time at www.VAcareers.va.gov.